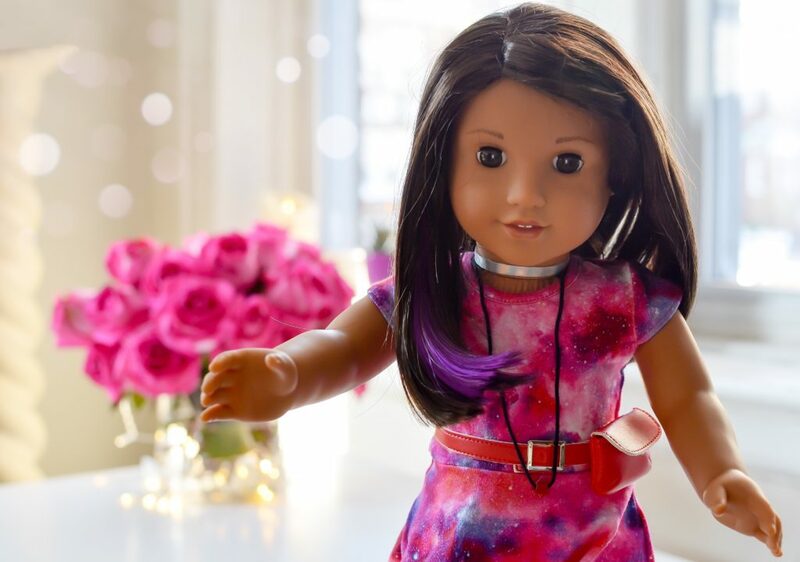 Meet Blaire Wilson: American Girl’s 2019 Girl of the Year + Giveaway! 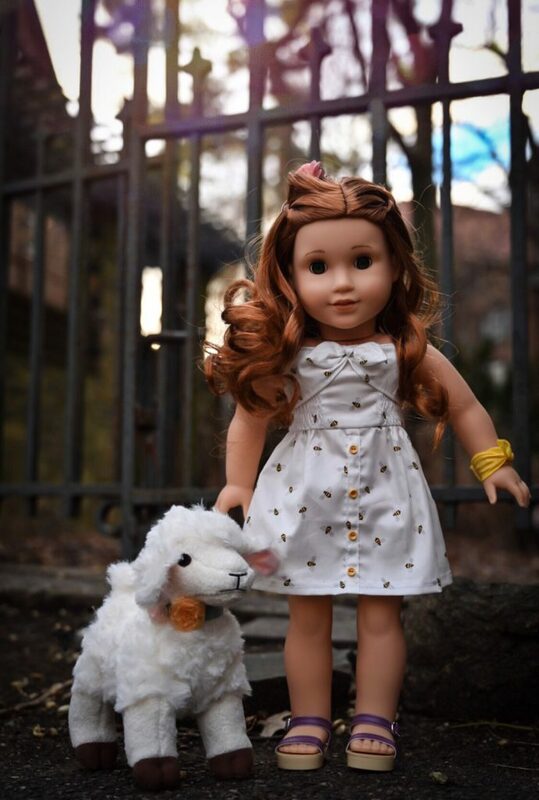 Say hello to Blaire Wilson – American Girl’s 2019 Girl of the Year (!) – described by American Girl’s VP of marketing as “an everyday girl who thrives on using her many talents to make meaningful connections with others.” Blaire carries an important story about building and maintaining supportive relationships with family and friends, by being present (curbing screen-time), and spending meaningful time together – which is indeed a relevant message for girls (and their families) today. As the mom of a now middle-schooler, I’m a big fan of the accompanying chapter book series written by Jennifer Castle. In her two books, Blaire touches upon issues of food sensitivity and the struggle of retreating to devices in an unhealthy way. With the support of family and friends, Blaire learns to strike a healthy balance – reminding us that being fully present at every occasion in life is what truly matters. Blaire is also super talented – she enjoys cooking and decorating at her family’s sustainable farm and bed-and-breakfast in upstate New York. 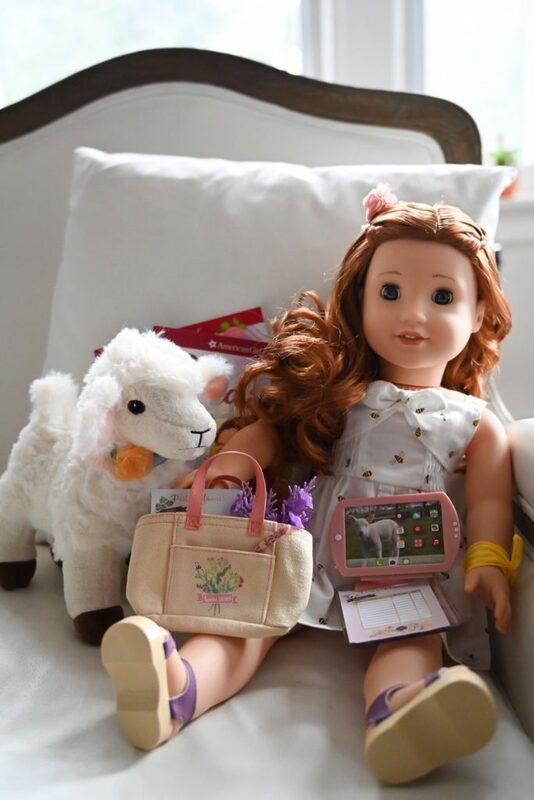 With curly red hair and bright green eyes – Blaire has a line of outfits, accessories, and products for purchase that reflect her life on Pleasant View Farm, including Blaire’s Family Farm Restaurant (hello customizable kitchen, serving cart and healthy food! ), fun party decor and party planning accessories, and my personal favorite – an adorable little lamb and piglet. 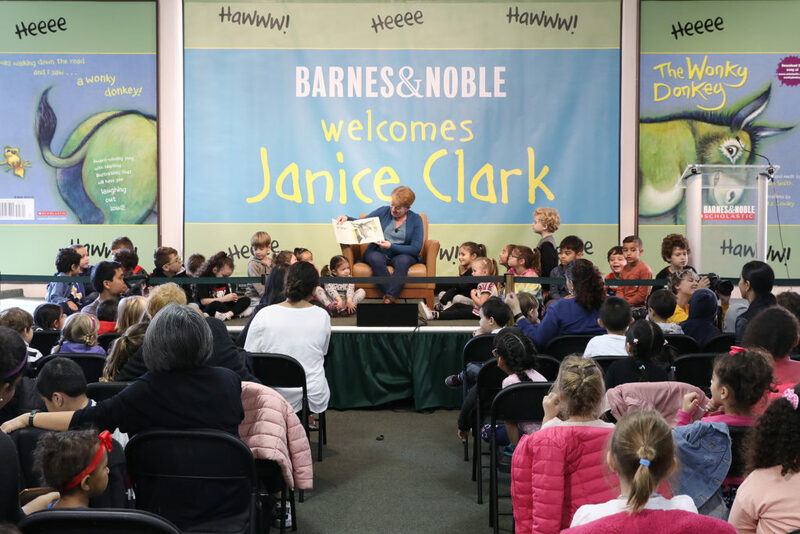 Fans can learn more about Blaire at a bunch of AG events and activities lined up for 2019 (find a store near you here). WIN IT! 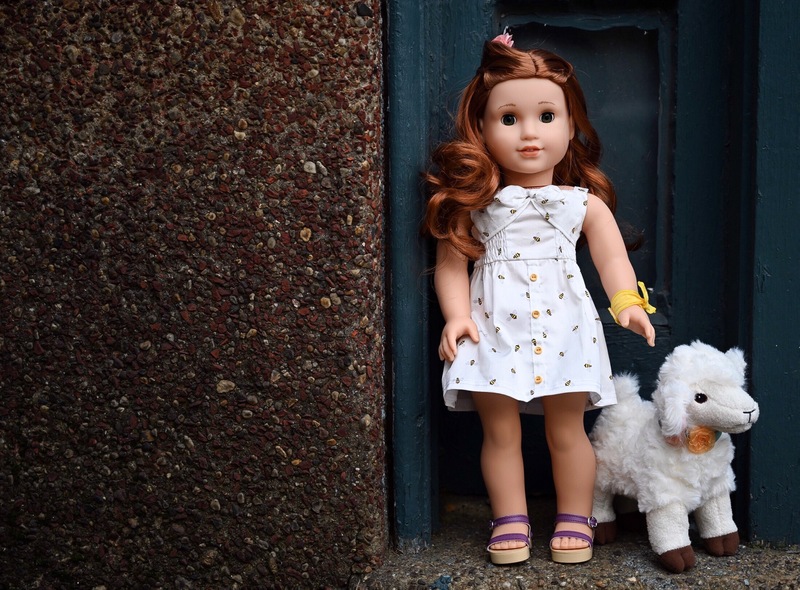 Thanks to American Girl, we have a Blaire Wilson doll + book to Giveaway! Enter via the below widget and check back to see if your name pops up as the winner. U.S. entries only and best of luck! After sleeping on the same mattress for over a decade and consistently waking up when my husband gets into bed during my sacred REM cycle, I knew we were overdue for a new mattress. I’ve been curious about the “bed-in-a-box” concept, the idea of avoiding a showroom, and the prospect of saving some cash with a model that eliminates the middleman entirely. The universe must have been listening (perhaps to my martial arguments!) because a partnership with Zinus serendipitously appeared. 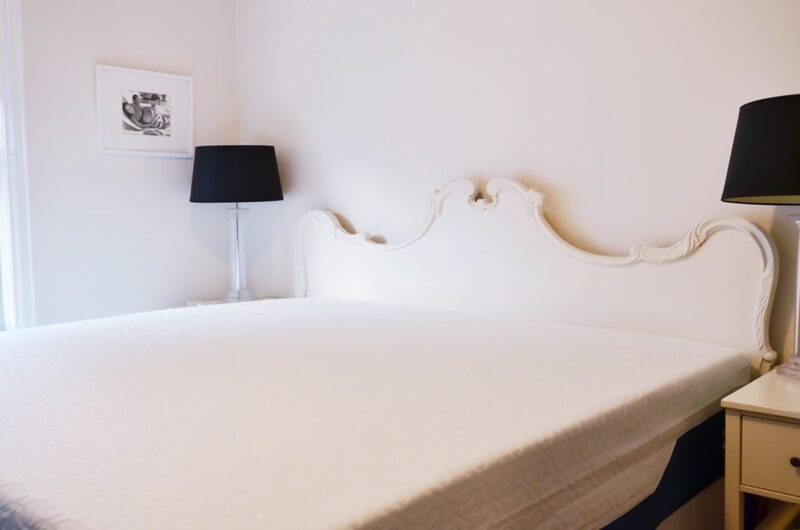 I had the chance to test out a mattress and decided on the king size Cooling Gel Memory Foam Mattress in 14″ (they had me at “wake up feeling like you’ve snuggled with an ice cube“). Zinus also sent along two box springs (I wanted to hang on to our current king frame which is outfitted for two twins). 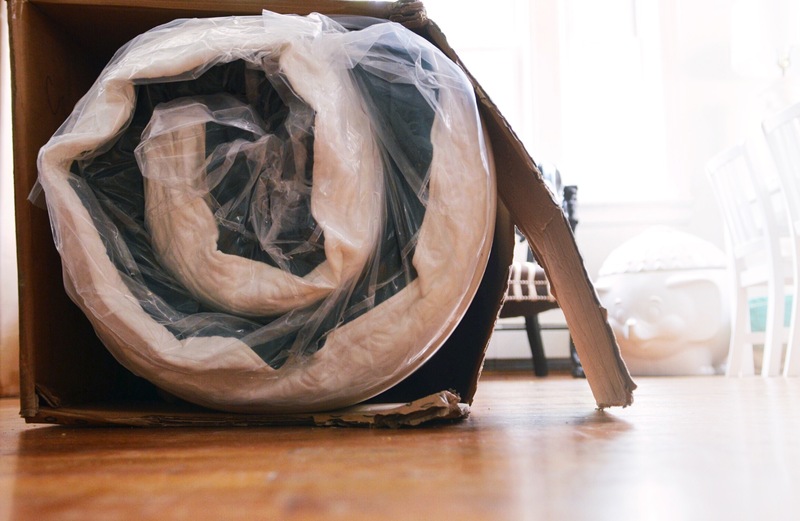 And If you’ve ever read those creepy articles about how dust mites, skin cells, and other gross things inoculate mattresses over time, it felt like Christmas in summer when the time came to toss my old mattress and box springs to start fresh with Zinus. I even sprung for all new bedding and pillows. Everything arrived at our door in giant boxes, and my husband and I were able to snap together our box springs in a matter of minutes. 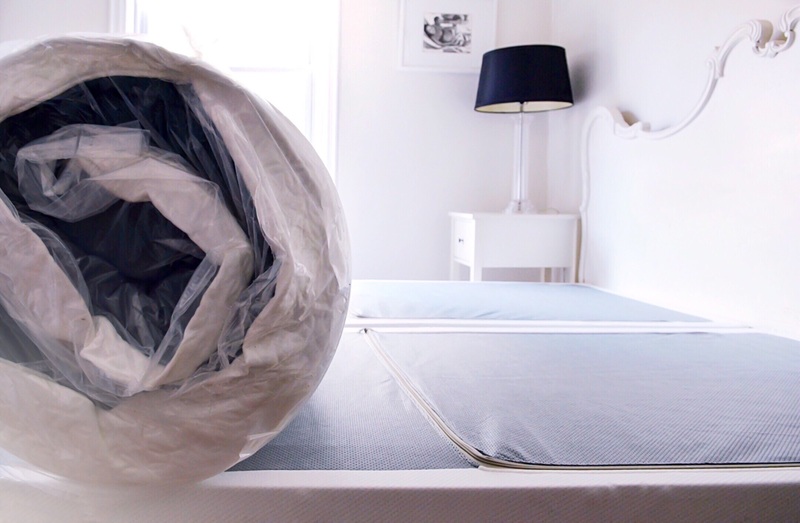 We then plopped our rolled up mattress onto the box springs and cut open the plastic wrap to let the mattress unfurl. The first night, I only allowed our mattress to come to shape for about 6 hours total (seriously don’t do this, just follow their simple timeframe guidelines!) and was worried that our new bed would be too firm, but my concerns subsided after a few days and proper time to regain full form. Over two months into sleeping on our Zinus and I’m a firm believer that you don’t need to break the bank in the quest to find a solid and comfortable sleep. I never wake up feeling too hot and haven’t tossed and turned like I once did in search of that comfy spot. I’d purchase the same mattress over again and am so thrilled to partner with Zinus on an exciting Giveaway! We’re partnering with Zinus to giveaway a Zinus signature mattresses (in either hybrid or gel memory foam) and platform bed to one lucky winner! The winner will get to select the size, mattress (Cooling Gel Memory Foam Mattress, or Cooling Hybrid Gel Foam Mattress) and platform (Steel 1500H Platform Bed or Steel 1500H Platform Bed). U.S. entries only please – best of luck and thanks for visiting! It’s been a while since we’ve offered a fun giveaway over here! And when the folks over at Teleflora shared the ways in which they are honoring moms this Mother’s Day with a campaign highlighting incredible, strong, resilient mothers – overcoming odds and living out loud every single day – we knew we wanted to join in helping to send a beautiful bouquet of flowers to a mom figure in one of your lives – from the lovely Teleflora Mother’s Day 2018 collection. It was no surprise to learn that according to the National Retail Federation, flowers were among the top three Mother’s Day gifts last year. I happen to love sending flowers, and it’s always a joy to receive them too! One of the things I adore about Teleflora is the really special keepsake containers that can be reused over and over again – keeping the memory tied to the significant occasion and the sender. Their Mother’s Day collection is super vibrant and pretty – offering unique selections for everyone. 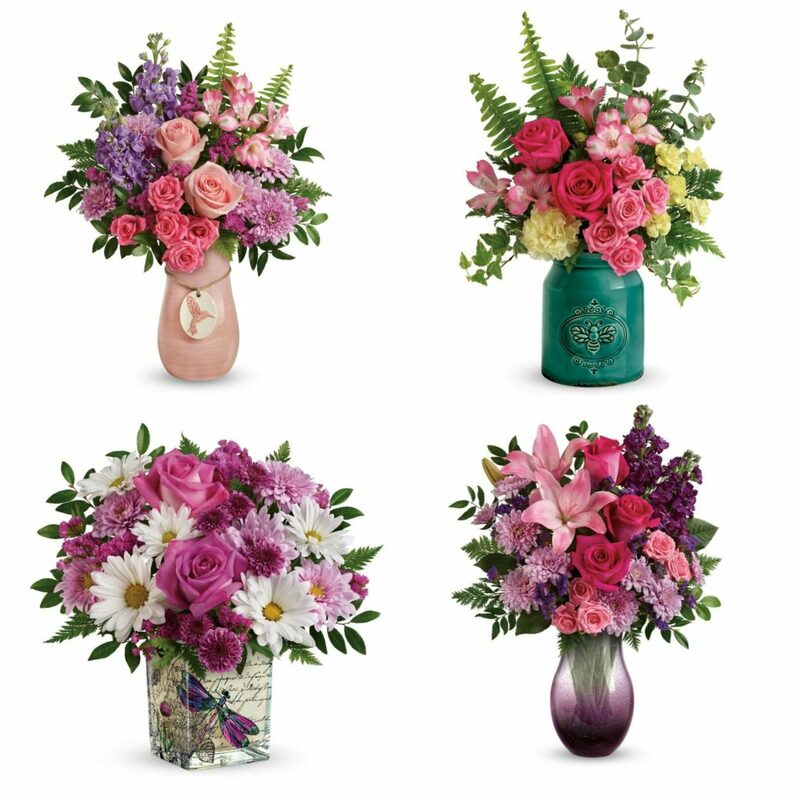 Have a look at all the Teleflora collections available here! Win It: We’ve partnered with the kind team at Teleflora to offer one reader a $75 Gift Card (+ free shipping) to send a beautiful bouquet of flowers to show the Mom figure in your life just how much you care. Enter via the widget below and please note that the gift card is valid for one-time use, expires on May 11, 2018, is not valid on sale items and the cannot be combined with any other discounts or promotion codes. Thanks for visiting and best of luck! Wishing a beautiful Mother’s Day to you all. 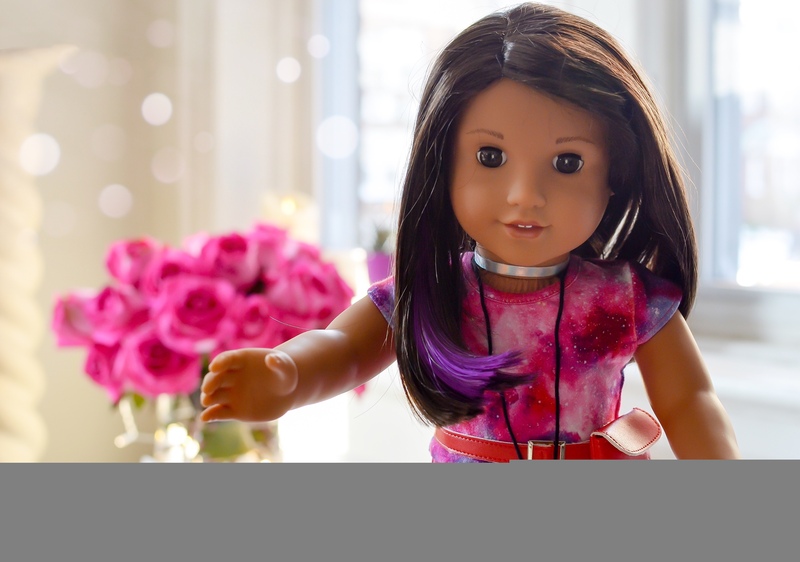 Introducing Luciana Vega: American Girl’s 2018 Girl of the Year + Giveaway! Introducing Luciana Vega – American Girl’s 2018 Girl of the Year! This adorable 11-year-old character is of Chilean descent, and she is set to inspire and encourage – with dreams of being an astronaut and the first person to set foot on Mars. Luciana is a champion of STEM, a role-model, and a leader – working passionately towards her dreams, while defying stereotypes and embracing risks – to teach girls about failure, resilience, and success while charting their own life course. 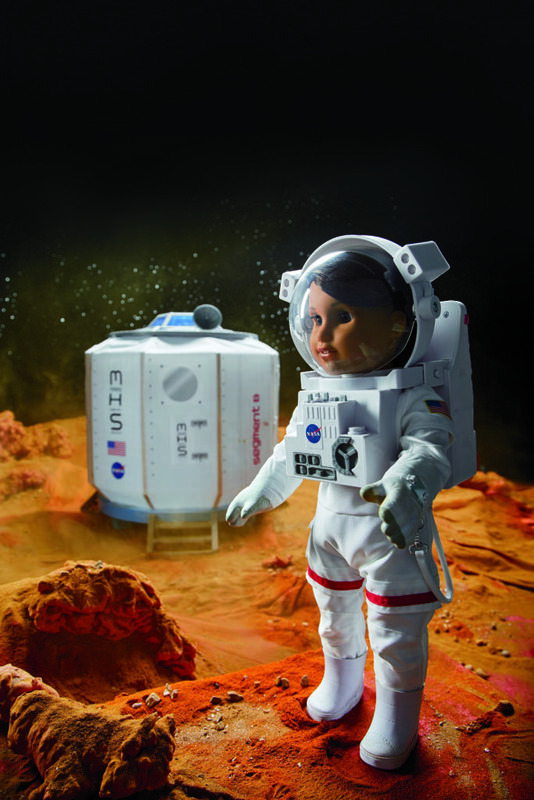 She also comes with really cool, creative accessories (sold separately) including a Flight Suit, Space Suit, Mars Habitat, Maker Station, Telescope Projector Set and more. 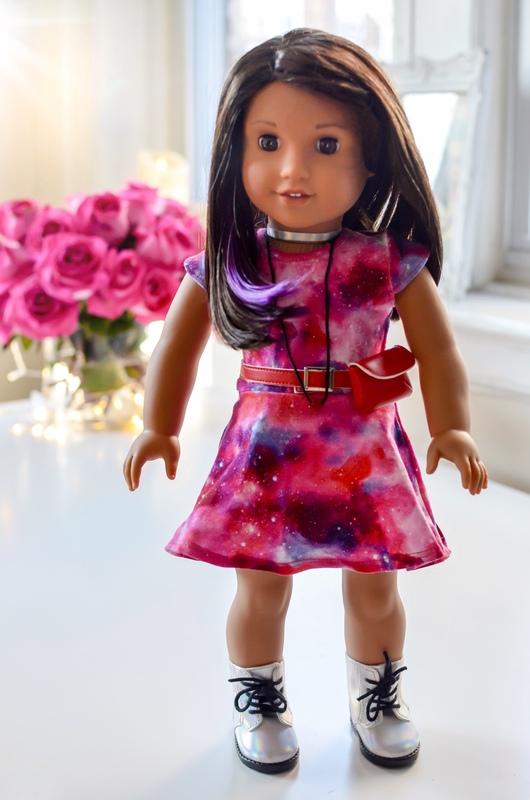 American Girl collaborated with an advisory board including a NASA chief scientist and astronaut to create Luciana’s story along with details that went into the doll’s creation. Her story, chronicled by Erin Teagan highlights the ways in which Luciana’s hard work and award-winning essay submission on planetary geology earn her a scholarship to attend Space Camp. Luciana is also a fun and spunky 11-year-old! She loves adding her own personal flair to everything – from the sparkly stickers on her flight suit to the rainbow LED lights on her robot. My ten-year-old is pretty obsessed with the purple streak in Luciana’s hair and her funky little doll boots and fanny-pack that opens to hold little items. She also devoured her book in one day and told me all about Luciana’s best friend and the baby girl that her family adopts. 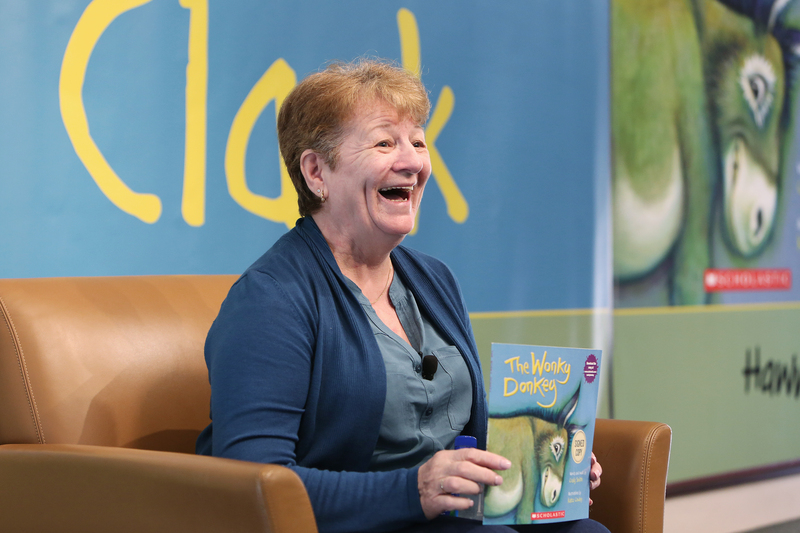 She can’t wait to move on to Luciana’s second book: Braving the Deep. Win it! 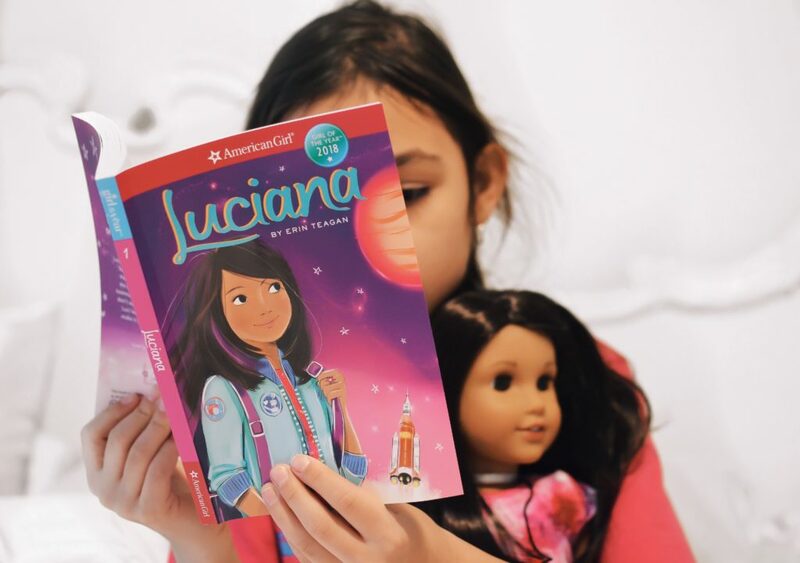 We’re so excited that our friends at American Girl are celebrating Luciana’s arrival by giving away a doll to one lucky reader! 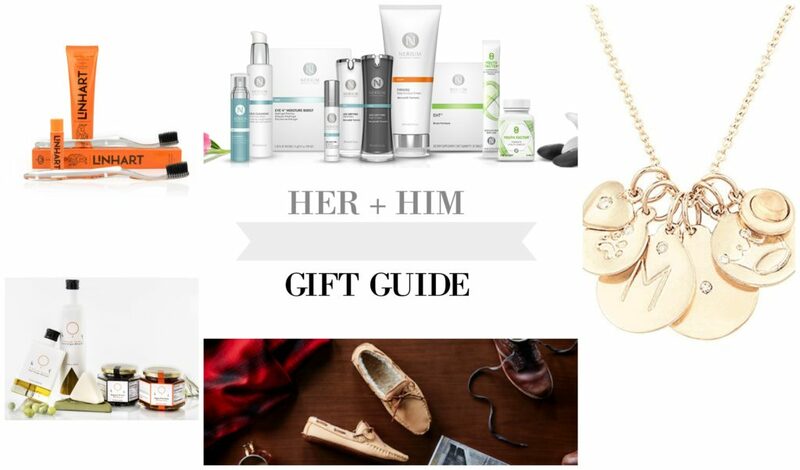 Holiday Gift Guide 2017 + Giveaway! We’re excited to bring you our annual holiday gift guide – thoughtfully curated for the kid or girl + guy in your life. From science and STEM toys to electronic toys and gifts for adults too – we’ve tested a bunch of items to help make gift giving a breeze. Don’t forget to scroll to the bottom to enter to win a $100 American Express gift card to shop for someone special on your list. Happy gifting! Workman Publishing Calendars will help kids stay on top of their days. We adore the positive images and messages in the Strong Is the New Pretty Wall Calendar for 2018 – reminding her that she’s awesome every single day. National Geographic Crystals, Rocks and Minerals Science Kit will fascinate kids ages ten and up while teaching them how to test and identify minerals with their very own collection of real specimens. 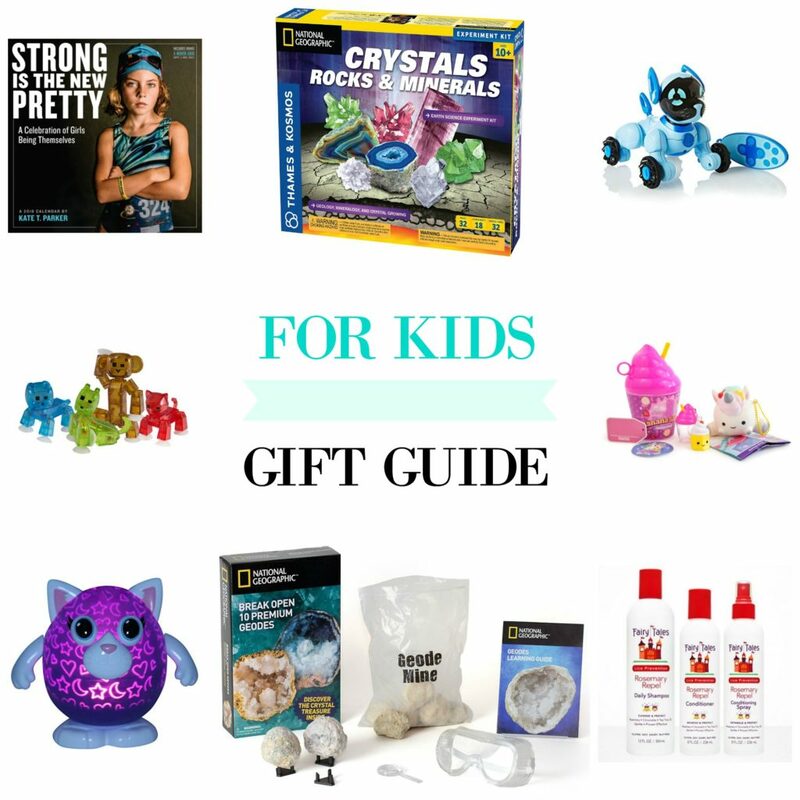 So much more than just a crystal growing kit, kids will learn about the chemistry of growing crystals and the geologic science behind rock formation and more. Chippies by WowWee are super fun interactive, playful robotic puppies that will interact with your child and even show off tricks! Available in four different colors, these are perfect gifts for kids ages 5 and up hoping for a puppy this holiday season. Chippies will bark, sniff, blow puppy kisses and even sneeze. Smooshy Mushy soft, squishy collectible toys continue to be all the rage with kids who love the cute designs and pleasingly tactile, ultra-soft material designed to be squished and mushed over and over again. You can’t go wrong with any of the adorable collectibles from this line. Fairy Tales Rosemary Repel Hair Care will come in handy as a stocking stuffer – especially as those lice infestation notices continue to go home in kids’ backpacks! Let kids take ownership of their prevention efforts with their very own hair care line free of harmful chemicals. You’ll thank me later for this one. National Geographic Break Open 10 Geodes will entertain the entire family and give everyone the chance to learn about the natural wonder of crystals and how hollow rocks are formed by volcanic eruptions. Grab this gift for kids ages eight and up. Playbrites are a fun way to add magic to a little kid’s room with a super cool light show packed inside an adorable animal design. These as-seen-on-TV gifts are also great for kiddos who are afraid of the dark. Stikbots are cool, imaginative gifts that will get kiddos into creating their own stop-motion videos and more. With Stikbot pets, studios and figures – the creative possibilities are endless. A LINHART subscription box will bring the gift of a healthy smile with custom oral care products scientifically formulated by two top NYC dentists. Have the girl or guy in your life unwrap the dentist developed line of products that the beauty editors are raving about, with the ease of recurring shipments straight to your loved one’s door. Nerium International’s exclusive line of age-defying skincare and wellness products with patented ingredients will help the special person in your life look and feel their best in 2018 and beyond. With anti-aging fighters that actually work – you’ll see and feel the difference in your skin and body. Helen Ficalora charms will delight the special lady in your life with lovely options to commemorate the birth of a child, a special pet, a favorite season and so much more. Their pave diamond disks with my kids’ initials never leave my neck, and I’d be delighted to someday add more to my collection (wink, wink, husband). Wolverine may be best known for their durable, comfortable, and stylish work boots, but this season they’ve brought their excellent craftsmanship to a limited edition Lodge Moc Slipper. He’ll love the coziness of this shearling lined, hand sewn double whipstitched, mocassin detailed slipper with fully cushioned insoles handcrafted in Maine. HİÇ Turkish Extra Virgin Olive Oil is a thoughtful holiday gift for the chef in your life. Hiç presses olives exclusively from one source, the Hiç Farmland Estate, where only the most healthy, hearty and purest olives are grown to create nature’s miracle – the highest quality olive oil. Hiç olives are 100% natural and free of additives and preservatives. UPDATE: $100 AMEX Giveaway closed and fulfilled. Thank you to our brand partners and TTPM.